Author Dave Kinsey will review cryptocurrency and Blockchain technology, discuss the history behind the movement, and answer questions. Dave Kinsey will be participating in a Pro vs. Con debate on Blockchain technology. IT and finance expert releases surprising expose about the creation of Bitcoin, how it works, and why it matters. Among the revelations, evidence suggests that at least one Russian Cypherpunk was involved in the development of Bitcoin as early as March 2006. There are even links between the Blockchain story and the 2016 US presidential election and the Mueller investigation that are clearly explained for the first time. Nearly everything that has been written about Blockchain is incorrect or misleading. Investors, regulators, businesses, and governments are investing in technology that they do not understand. 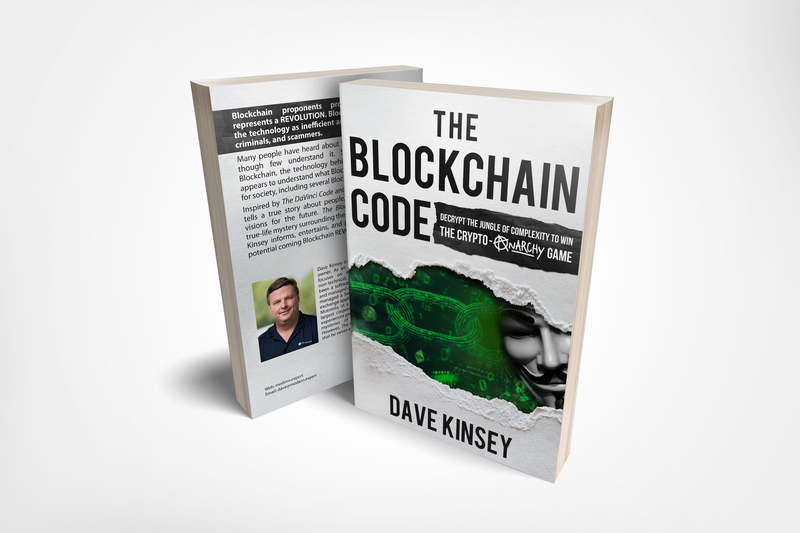 The Blockchain Code by Dave Kinsey aims to set the record straight and explains the technology in simple, yet accurate terms. Blockchain advocates have hailed the technology as the solution to many of the world’s problems, including waste management. Critics have derided the technology itself as hyped and inefficient garbage. So, what’s the truth? Kinsey challenges both the Blockchain skeptics and “experts.” Blockchain skeptics are often too quick to dismiss the technology without understanding it. Blockchain preachers frequently speak with passion and conviction but are wrong about basic facts of the technology. Blockchain proponents propose a new way for the world which deserves to be accurately understood by everyone.